Steel Panthers is, even today, a rock solid WWII squad level tactical simulation. At this level, squads consist of approximately 10 men and vehicles are represented individually. The map scale used is 1 hex = 50 yards which is roughly equivalent to the board games Squad Leader and Advanced Squad Leader. The similarities don't stop here. Steel Panthers uses a turn based board game paradigm for play. 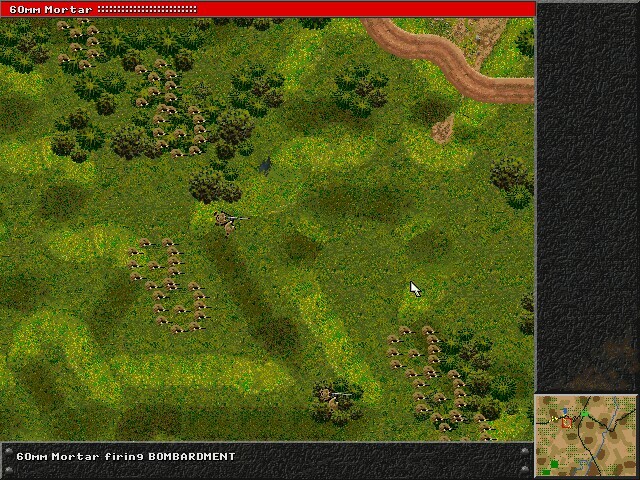 Each player takes turns maneuvering and firing their units while the computer takes care of housekeeping. By taking this approach, SSI removed enough complexity so that the average player will enjoy the game. However, they left in enough detail to attract the avid board gamer. For a mid 1990s game the graphics are simply incredible. They are displayed in 640x480 with 256 colors. The maps used are as varied as the actual terrain in WWII. Each is a work of art and very pleasing to the eye. This includes maps for Desert, Jungle, Urban, Rural, and Snow encounters. SSI even went so far as to include the mission builder used to create the large number of scenarios included with the game. With the mission builder you can build and save individual maps that can be used by other Steel Panthers owners. You can then use these custom maps to create custom scenarios which you can freely distribute. The implication here is that the range of scenarios available for Steel Panthers is limitless. 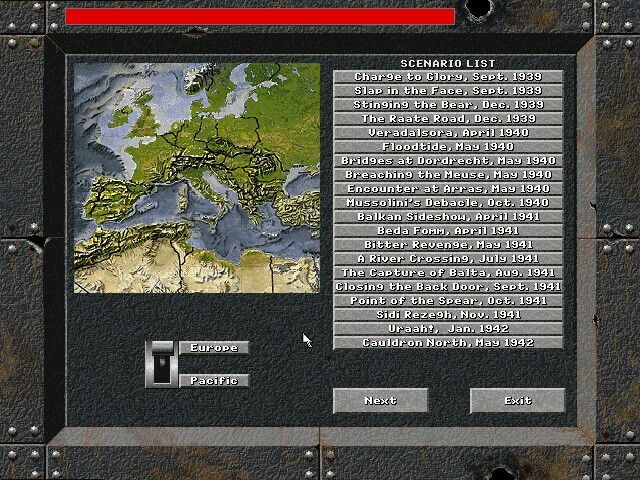 You can literally recreate any land battle fought during WWII. In addition to individual scenarios you can also engage in a campaign. When playing campaigns, you are given a certain number of points to buy your core units (these units will acquire experience and the surviving ones will be available in the successive campaign scenarios). After purchasing your core units, you are given so many points to buy extra units that are available for that campaign scenario only. Once the battle is complete these units will go away. These units include the standard fighting units and off-board artillery / air units, if available. 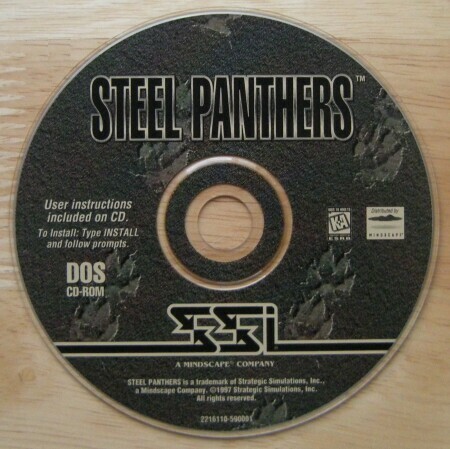 SSI did a great job of developing Steel Panthers. It is a wonderfully detailed beautiful representation of WWII squad level combat. In fact, for this level of tactical game, there were no contenders during the era. Battle at Ardennes is probably the closest and is played at a different scale than Steel Panthers. Even so, the two do not compare. Steel Panthers is pure gold.